Mark Spraggins is active as a composer, musician, and educator in music technology. 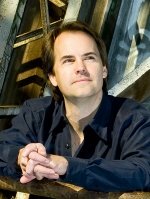 As a composer, his music has been performed throughout the U.S., and at European venues in Norway, Sweden, France and Italy. His catalog includes works for orchestra, wind ensemble, choir, percussion ensemble, various chamber ensembles, solo piano, and prepared piano. Notable awards or commissions that Mark has received for his compositions include: first prize the 2000 M.A.C.R.O. competition (international choral competition), New Mexico Youth Symphony, National Federation of Music Clubs, Indianapolis Youth Symphony, Cantoria (choral), Butler Wind Ensemble, USC percussion ensemble, Indianapolis Children's Theater, Butler Ballet, Westbrook Quartet (string quartet). In addition, his music has been performed live on KUSC Los Angeles Public Radio. As a pianist, he has performed his own piano compositions as well as works by living Amercian composers. Mark is also active as a soundtrack composer and music producer, having created music for programs on the History Channel and the A&E Network. Recent projects include the trailer to "Everdawn", and assignments as an arranger and pianist on commerical music productions. Mark is currently director of Cal Lutheran's Music Production program, where he built and maintains multiple state of the art audio workstations for music production and recording. His is a member of the Audio Engineering Society, Society of Composers and Lyricists, Association of Technology in Music Instruction, and the College Music Society.